26-year-old blockchain entrepreneur Matthew Liston has taken four associates to court for conflicts that arose out of his termination from the cryptocurrency betting startup Augur, alleging in a lawsuit filed in San Francisco, California on April 19 that founding members Joseph Ball “Joe” Costello, 64, Jack “John” Peterson, 35, Joseph Charles “Joey” Krug, 22, and Jeremy Gardner, 26, committed acts of fraud, breach of contract and trade theft that left him empty-handed without a stake in an initial coin offering (ICO) and bound to a broken settlement agreement that ignored him as a co-founder. Named as defendants in the lawsuit are also Augur’s Delaware corporate entity Dyffy, Inc. for owing Liston back wages and two Forecast Foundation business entities, one registered in Oregon and the other in Estonia, for operating illegally in the state of California, misappropriating Liston’s holdings from Dyffy, and processing the ICO transactions without registering them as securities. An ICO is a tokenized version of a crowdsourced fundraising pool. According to the lawsuit, Peterson, Gardner and Costello conducted a hostile takeover of Dyffy, Gardner presided as president and Peterson as secretary over the dissolved Oregon non-profit, and all but Costello currently maintain shareholder status in the for-profit Estonian entity headed by Peterson. The entities were made before Augur held one of the first ICOs between August 7 and September 5, 2015 when the company issued 8.8 million reputation (REP) tokens, each priced below $0.60. The Augur ICO raised over $5 million for a decentralized prediction market protocol that would run on the ethereum blockchain. Advised by Ethereum co-founder Vitalik Buterin and Lightning Labs co-founder Elizabeth Stark, the betting application claims censorship-resistance from platform providers and government bodies. 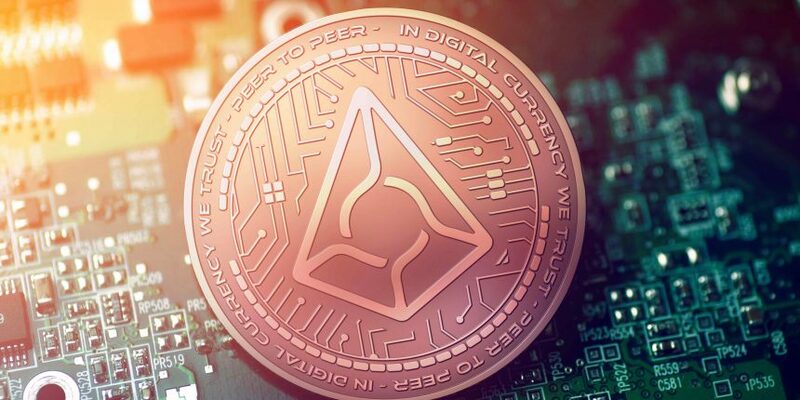 In July 2018, Augur is launching its main network in what the industry has hailed as one of the more compelling blockchain experiments to be designed by the award-winning IDEO design group. But Liston is seeking $38 million in general damages and $114 million in punitive damages for a total of $152 million in collective damages that could put a damper on those resources — more than one-quarter of REP’s market value. Three years after the ICO, in a time when cryptocurrencies have gained mainstream momentum, REP has traded as high as $100 and token holders have profited up to 200 times on their principal investments. The legal action also constitutes the most financially significant private lawsuit in cryptocurrency history so far, superseding even damages sought by industry class-action lawsuits brought against cryptocurrency exchange Coinbase, the Nano cryptocurrency previously known as RaiBlocks, and token-backed marijuana startup Paragon Coin, which have exceeded more than $100 million in possible payouts. Krug, who still advises Augur, denied the lawsuit’s claims and disputed the extent of Liston’s role in the project in a statement to CoinDesk. “The claims are baseless and inaccurate. [Liston] accepted a cash severance payment and he signed a full release with Dyffy and we’re appalled that he’s turned around with a lawsuit three years later. There hasn’t been a single GitHub commit by Liston, on any of the Augur repositories. He’s not a founder of Augur,” Krug said. O. Shane Balloun of Balloun Law filed the complaint on Liston’s behalf. Balloun did not immediately respond to requests for comment from CoinDesk, nor did Costello, Peterson and Cooley LLP attorney Patrick Gibbs, who is said to be representing the entire defense. The court has scheduled a hearing in September 2018 for both sides to attend, where the case will be assigned a judge and a trial date will be set. In June 2014, Liston registered Dyffy and hired Peterson to pursue a “blockchain-enabled betting and prediction market,” the lawsuit says. Peterson, at first unsure about the idea, changed his mind after Liston brought him into conversations with Costello and Yale economist Paul Sztorc. Liston read Sztorc’s Truthcoin whitepaper about cryptocurrency prediction markets and successfully pitched the business to Costello for an investment, according to the lawsuit. Krug and Gardner were then recruited to Dyffy to work on the project, which they began calling Augur. Getting the all-clear from Peterson and Costello still did not pan out. After butting heads with Peterson and Costello, Liston was removed from Dyffy and its board of directors on October 24, 2014, a power play Gardner allegedly “instigated and conspired with Defendants Peterson and Costello” to take Liston down and install new management, according to the lawsuit. Krug replaced Liston as director and Peterson stepped in for Liston as CEO and CTO so the new Augur leadership could unlawfully move Liston’s intellectual property and financial assets into the Forecast Foundation non-profit established in Oregon state on December 23, 2014, the lawsuit alleges. Liston claims this attempted merger or acquisition was unlawful because he preserved contractual ownership within Dyffy and maintained all rights to his work, capital and shares but never signed off on an agreement affecting their transfer past his departure, including for what he says is the Truthcoin research he adapted into the technology that would come to underlie Augur’s REP coin. Forecast Foundation also was not registered and licensed to do business in California, where Augur operated out of San Francisco, according to the lawsuit. The paper ties came back to haunt Liston. Even after being fired, Liston was held liable for a $15,000 lawsuit filed against Dyffy by a contractor seeking payment for services rendered. The lawsuit alleges Peterson, Krug, Gardner and Costello neglected their fiduciary duty by not upholding corporate indemnity defenses that would have conferred the cost burdens of legal actions from Liston to Dyffy after he parted ways. Yet they were keen on severing these lingering contractual associations. Following the ousting, the lawsuit alleges, Costello verbally and textually harassed Liston to sign an agreement certifying bars on future legal action against Dyffy, and another agreement relinquishing 100% of Liston’s equity in a buyback deal that would return cash and REP.
Costello “screamed indignities at [Liston] every time they spoke on the phone” and sent time-sensitive ultimatums ordering that Liston either take or leave the deal in “a series of highly coercive, unrelenting, manipulative communications” and chronically “abusive” phone calls from April 13 to April 15, 2015 to the point where Liston “broke down in frustration,” according to the lawsuit, which cites a series of harrowing messages. “If we don’t settle this today and tomorrow then you will receive nothing,” Costello messaged Liston on April 14, 2015. “If I don’t hear from you in the morning, the answer is that you are not excepting [accepting, sic] the deal and we restructure,” Costello warned Liston, who did not yet respond that day, three hours later. “Two hours left,” Costello drew the line on April 15, 2015. Liston, hesitant to reciprocate Costello’s legal offers, made it clear more than once in the conversations he wanted to obtain legal counsel to review the documents. However, lacking the financial resources to hire a lawyer and the mettle to withstand Costello’s “abusive tactics” which he felt would likely persist, Liston signed the two agreements and “capitulated to Dyffy and Costello’s demands” on April 19, 2015, according to the lawsuit. Liston says he later learned Augur’s ICO plans were more complex, extensive and optimistic than were presented to him. Per contract law, Liston argues, the ICO’s projected market valuation and team allocations should have been thoroughly demonstrated in the negotiations. Additionally, Liston claims, also by law, the coercion and duress he faced should have invalidated the contracts. Had he been given more wiggle room and emotional clarity to negotiate the terms of the agreements with legal advice, Liston believes he would have better understood the ICO and accepted a portion of the REP tokens that would have ballooned in value to the amount in legal damages he is currently seeking. If not through a direct offer, Liston claims the Augur team should have endowed him REP by virtue of his Dyffy shares. His ousting, he reasons, would have met the two elements of a double-trigger acceleration clause — involuntary termination and sale of the company — to automatically vest and convert his company shares into an active cut of the ICO. Augur sold the company by transferring Dyffy holdings into the Estonian for-profit company Forecast Foundation OÜ as was allegedly done with the Oregonian non-profit Forecast Foundation, the lawsuit says, which is why Liston believes Peterson, Krug and Gardner own corresponding share percentages in Dyffy and Forecast Foundation OÜ. The lawsuit says Peterson also revealed fraudulent intent in the legal back-and-forth by “block[ing] all potential press releases and reject[ing] all public media statements” for the ICO that mentioned Liston as a co-founder. The lawsuit says Peterson rebuffed appeals in November 2015 to identify Liston’s role at Augur before the ICO went live. Two years later, when Liston started working for Gnosis, a decentralized ethereum application similar to Augur, Peterson then reached out to Liston’s boss Martin Köppelman to “try to convince him to lean on Plaintiff Liston to stop referring himself as a co-founder of Augur” before altogether denying Liston’s co-foundership in two January 2018 tweets, according to the lawsuit. Liston claimed he was a co-founder in social media posts, the lawsuit explains, triggering Augur frontman Peterson to publicly disavow him and privately send him a cease-and-desist letter through Forecast Foundation OÜ. A representative of Augur shortly thereafter emailed Ryan John King, whose blockchain map company FOAM Liston advises, using “aggressive and disparaging language demanding FOAM remove the phrase ‘Augur cofounder’ from Liston’s description on FOAM’s website,” according to the lawsuit. Peterson also advanced a vastly differing account of his relationship with Liston in the public eye, CoinDesk found. Peterson said he personally knew Liston years ago in a StackExchange post made in September 2017 under his online pseudonym “tinybike,” but depicted his former co-worker as a “random Internet guy” in tweets earlier this year that were cited in the lawsuit. Sztorc, who published a critical exposé on Augur in December 2015, told CoinDesk he sympathizes with Liston, noting the unexpected medical condition of Liston’s ex-girlfriend when he was abruptly let go. In the lawsuit, Liston reports “suffering from profound financial and economic pressure” in the same time frame due to the “sustained period of unemployment” that resulted from his “sudden termination” from Augur. Liston was not the only member of Augur whom Sztorc thought was treated unfairly. The Truthcoin founder criticized the project for compensating software engineer Zackary “Zack” Hess meagerly after he developed the early stages of the project, often for hours into the night. “I was working with the Augur team before it was called Augur. I wrote their first minimum viable product in Python. I taught them Paul Sztorc’s design,” Amoveo founder Hess commented to CoinDesk. Amoveo, described by Hess as “an improved version of Augur that costs less to use and doesn’t have any REP token,” connects markets to an on-chain oracle mechanism and makes bets inside bitcoin lightning network channels. Asked why Liston was booted out, Sztorc said the company was vying for more technically savvy leadership. The Truthcoin founder remembered Costello called him one time asking what the project needed. “I said, ‘It needed programmers’. Matt wasn’t really a programmer,” Sztorc said. Another source familiar with the matter, however, said Liston originally pushed for Augur to operate on top of the ethereum blockchain to process predictions more efficiently, but his advice was initially shunned in favor of the bitcoin blockchain. “[Liston] ended up being right,” the source said. Augur switched from the original blockchain to its second-generation successor after Liston exited. Since moving on from Augur, Liston has also worked at the ethereum project and the blockchain software studio ConsenSys. Peterson and Pantera Capital co-CIO Krug are still active with Augur. Gardner is a partner at Ausum Ventures and was an EIR at Blockchain Capital. Costello sits on the Augur advisory board and manages smart building company, Enlighted, Inc. Siemens is expected to close its acquisition of Enlighted in the third fiscal quarter of this year.